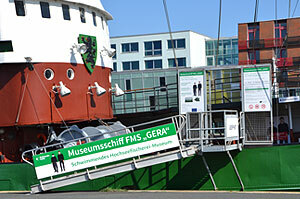 The “GERA” is the last surviving German side trawler. 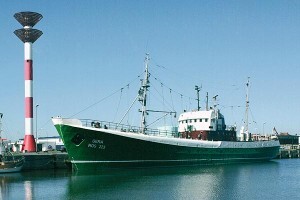 The fully equipped motorised fishing vessel gives us an authentic idea of the arduous life on a deep sea fishing vessel. 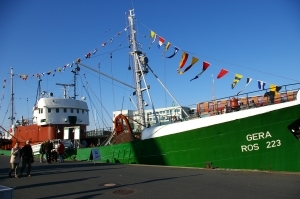 Numerous films and photographs, an multimedia guide, a database of over 1500 fishing vessels and exhibitions bring the history of deep sea fishing back to life.